With the holidays just around the corner, now is the perfect time to talk about how getting in the holiday spirit can make an impression on your current and future residents. How can you do that? We’re talking about adding some cheer and happiness to your clubhouse! You don’t need to go all out and spend a huge chunk of cash either. A little decorating can go a long way making your clubhouse feel fun and festive throughout the holiday season. Let's take a look at how you can achieve this in a simple, tailored and cost effective way. An easy way to add a touch of the season is by filling the vases, jars, bowls, or platters with different decorative elements that reflect the holidays. For Thanksgiving, consider filling them with unshelled nuts, dried wheat, small gourds, ornamental corn, and even bundles of twigs. For Christmas/Hanukkah, you can fill these with anything from ornaments, pinecones, holly or berries, and other greenery (use plastic greenery that you can use year after year to save on cost too!) to candy such as candy canes or ribbon candy. 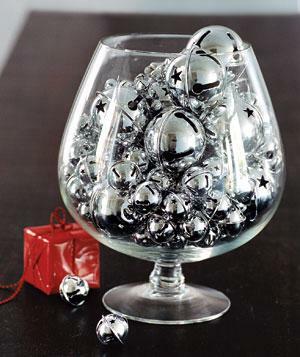 Placing these around the clubhouse on various tables and on your mantel (if you have one) will add a touch of the holidays and create a warm and inviting space, which is what the holidays are all about! 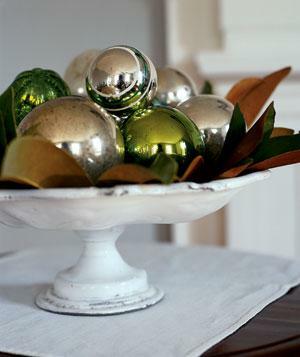 It is important while decorating for the holidays to also keep your colors and tones in mind. Selecting neutral tones for decorative pieces that are metallic, white, or neutral wood tones can be a great option for creating an inclusive feeling no matter which holiday your residents celebrate! A wreath is another easy decorative element that can be changed for each holiday. You can easily change the ribbon or add ornaments, pinecones, burlap, faux berry branches, or greenery to take your wreath from holiday to holiday. Hang it on the front door to your clubhouse to welcome residents and future residents in a festive and easy way! A few other fun, cost effective ideas? Not only is changing up your decor an easy way to get in the holiday spirit, but it may even inspire you to host a resident event! You could host anything from a gift exchange to cookie decorating to a cocktail hour. Hosting an event is not only a great way to show your appreciation for your residents but it is a great opportunity to get to know your community members in a fun and informal way. If you are looking for some help transforming your clubhouse for the holiday season and beyond, contact us today for a consultation.